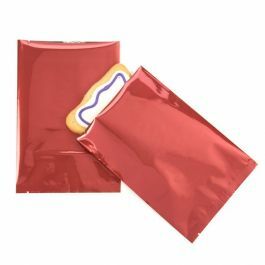 SVP28S is the smallest option in our metallized heat seal line of bags. Measuring 2" x 8" this flat pouch is ideal for packaging items like granola bars, dried fruit, single serve supplements and more. 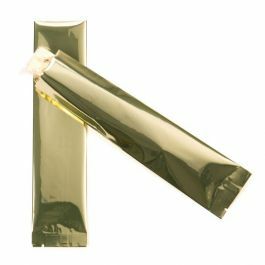 This metallic silver bag comes open on the top (2" side) for easy fulfillment, features a 1/2" bottom seam for added durability and tear notches at both ends for convenient opening once heat sealed. 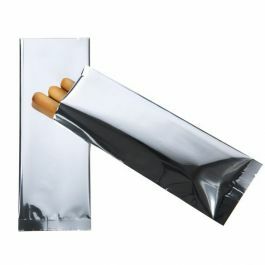 Made from 2.6 mil food safe material, this high barrier bag protects from moisture, oxygen and UV light. 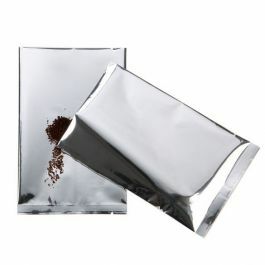 Measuring 2 x 8 inches in size, this metallic silver flat pouch is ideal for packaging single-use items. Constructed from 2.6 mil metallized material, this bag offers our highest barrier protection for both food and non-food items. 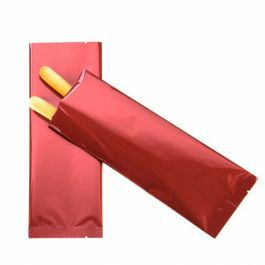 Fill this pouch with beef sticks, granola bars, trail mix and more! SVP28S comes open on the 2 inch side for easy fulfillment, has a 1/2" bottom seal for durability and tear notches at both ends for convenient opening after purchase. Use a standard hand sealer to lock in freshness and provide a secure closure. Our SVP28S is ideal for packaging single-use items like powdered mixes and snack foods.